The bus stop should make the passengers feel comfortable. 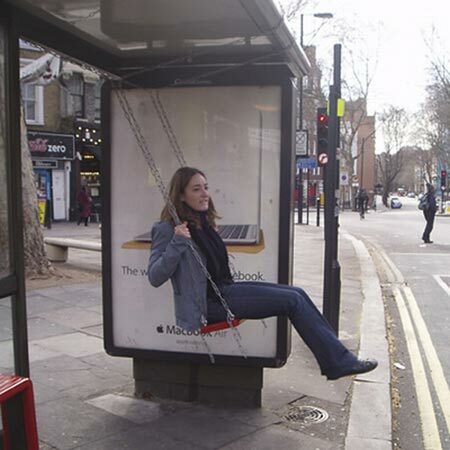 But some countries has bus stops that are still left without attention and away from the word comfortable. 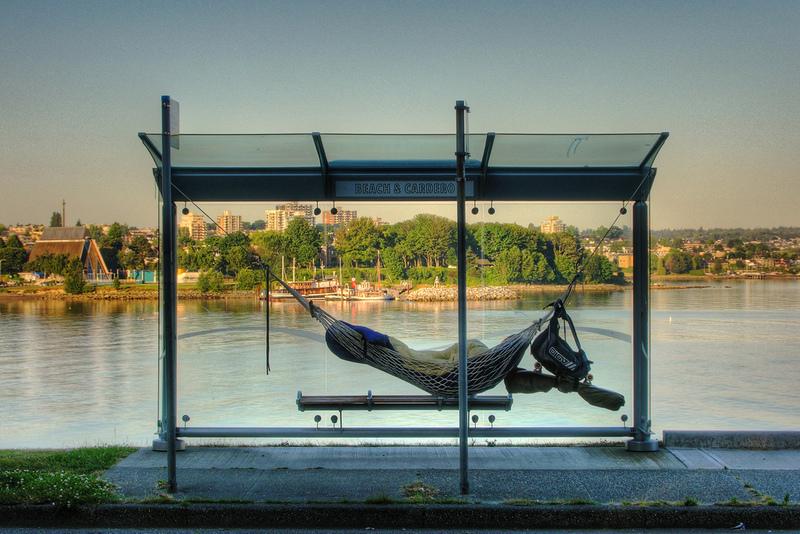 There are countries that provide comfortable bus stops. 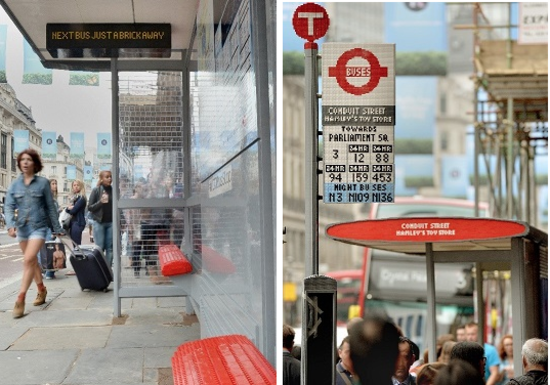 They actually pampered with a unique form of bus stops in order to encourage more people to use public transport.Now let's see some of the creative bus stop across the world! 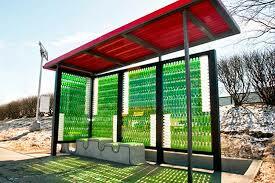 At first glance, the bus stop is plain but the idea of developing recycled materials can be a good example. 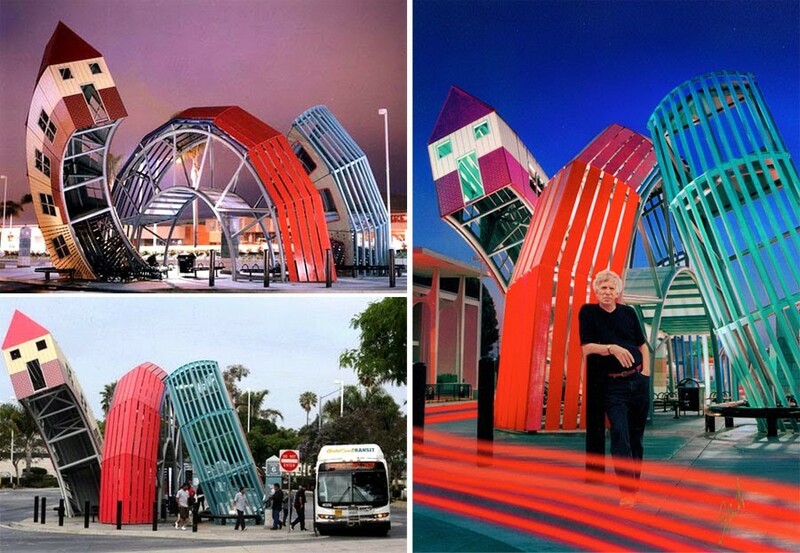 Because the bus stop is made of 3 old school buses and designed by sculptor Christopher Fennel. The seat in it was obtained from one of the city buses in Atlanta that was not working. It took 100,000 lego to make the Lego bus stop located on Regent Street. Located near Hamley's toy store, the bus stop was built for more than 14 days. Includes signage, seated seats and translucent back wall. It's not called Japan, if there are no unique buildings like this fruit shaped bus stop. There are 16 stops at Konagai Nagasaki, Japan that are shaped like fruits. In addition to strawberries, Sakura State also has other fruit bus stops, such as bus stop melon, orange and tomato. The government expects this bus to be a local tourist attraction for the surrounding community. Dubai is located in a temperate subtropical zone with zero moisture. 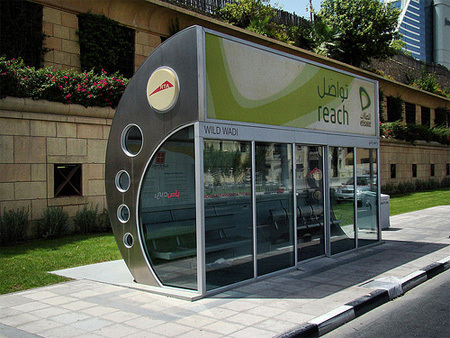 Because of the hot weather conditions in Dubai, every bus stop is equipped with air conditioning. Even glass shelters are made of window film to prevent sunlight from entering the eye. 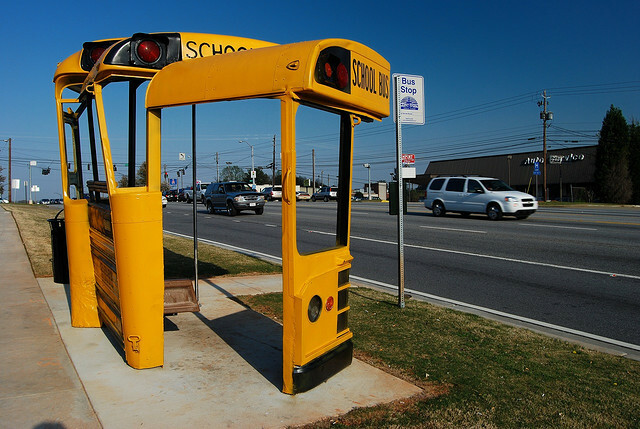 Bus stops like this are also needed to protect passengers from dust storms that can come anytime. This half-hearted design of this stop was made by American artist Dennis Oppenheim. In addition to intended for bus passengers comfortable during the wait, this bus stop also reminds bus passengers to go home. Not only that, many tourists who are interested in the bus stop built to commemorate the services Dennis many produce artwork in America. Tired of waiting for the bus that never came? You can swing in the swing provided at this stop. This bus stop is designed by senimann Bruno Taylor so people do not get tired of waiting. Waiting for the bus makes you sleepy? You can relax for a moment while closing your eyes on the hanging swing. But do not fall asleep you might miss the bus. 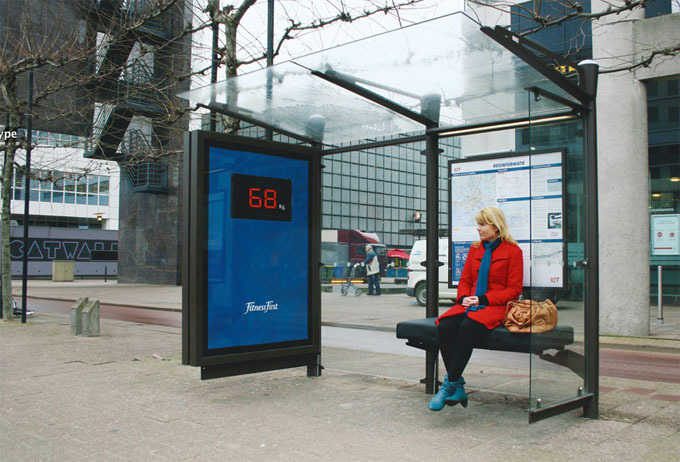 At this bus stop, the weight of the person sitting on the bench will be displayed on the screen on the wall in 2D form. Of course not many people who dare to sit on the bench this stop. The bus stop was designed by Aaron, a Kentucky University student. This stop is built from a bottle of soda equipped with solar powered LED lights. During the day, sunlight passing through a bottle will be stored on one part of the bus, while at night the bottles will emit light from the stored sunlight.